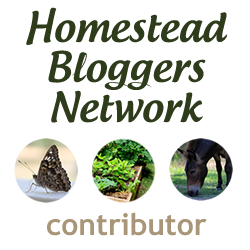 Linn Acres Farm: Easy DIY Epsom Salt Christmas Ornament! 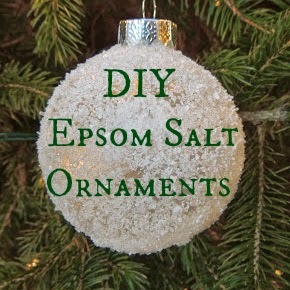 Easy DIY Epsom Salt Christmas Ornament! Every year I love to make ornaments for our Christmas tree. 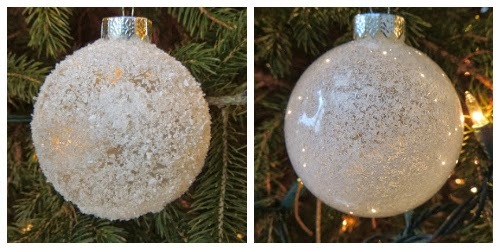 This year I discovered one of my favorite DIY ornaments yet! Using just epsom salt, decoupage, and water you can make a beautiful frosted glass or snow covered ornament in just minutes. To make a frosted glass ornament, all you need to do is pour some decoupage into a bowl and thin it out with water. Mix it well so it's smooth and thin. Get a clear empty ornament bulb and remove the top. Carefully pour some of the decoupage & water mixture into the ornament. Pouring into such a small hole is easier with a funnel, but you can pour it straight in as well, just wipe up any drips on the side of the ornament. Swish it around and keep turning it until the inside is fully coated. Pour all the excess liquid back into your bowl, making sure there is not a puddle in the bottom of the ornament. Next, pour a few tablespoons epsom salt into the ornament (again easier with a funnel, or just fold a paper plate to make one). Shake the epsom salt all around the inside of the ornament. Once it's fully coated inside, you can pour out the extra to use in the next ornament. Just leave the top off for a bit for it to dry. Ours took about a half hour to dry completely. Then replace the top & hang on your tree! To make one that appears to be coated in snowflakes, simply remove the ornament top and then coat the outside of the ornament with decoupage using a paint brush, and roll the ornament into a plate of epsom salt. 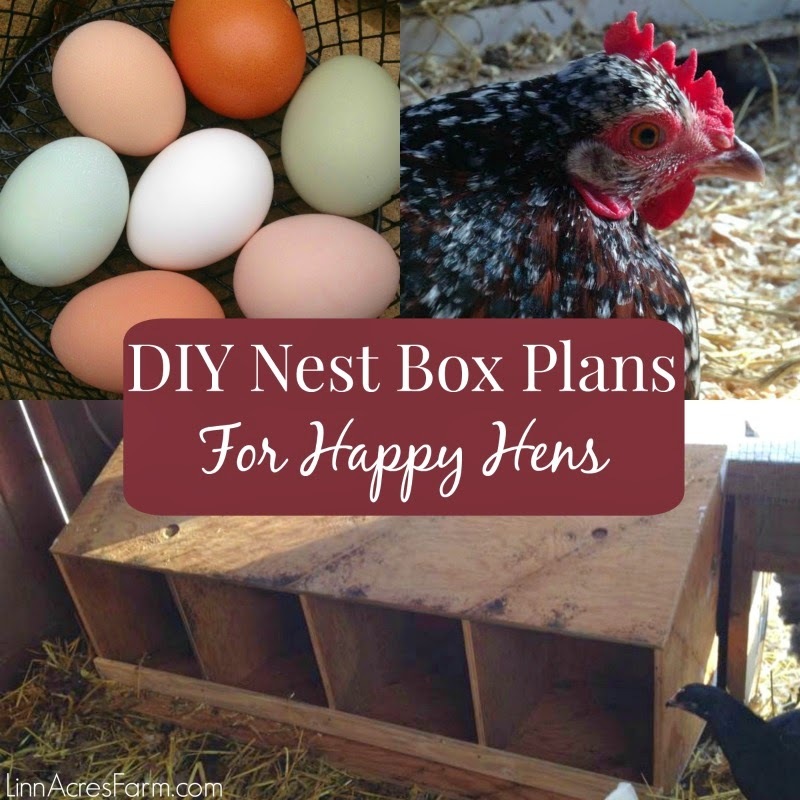 Super easy, but your hands definitely get a bit messy! It needs to dry before you put the top back on, so I usually rest a post up the center of the ornament, upside down for it to dry. But you can dry it on a rack or plate as well.